I’m still blasting-up the miles! 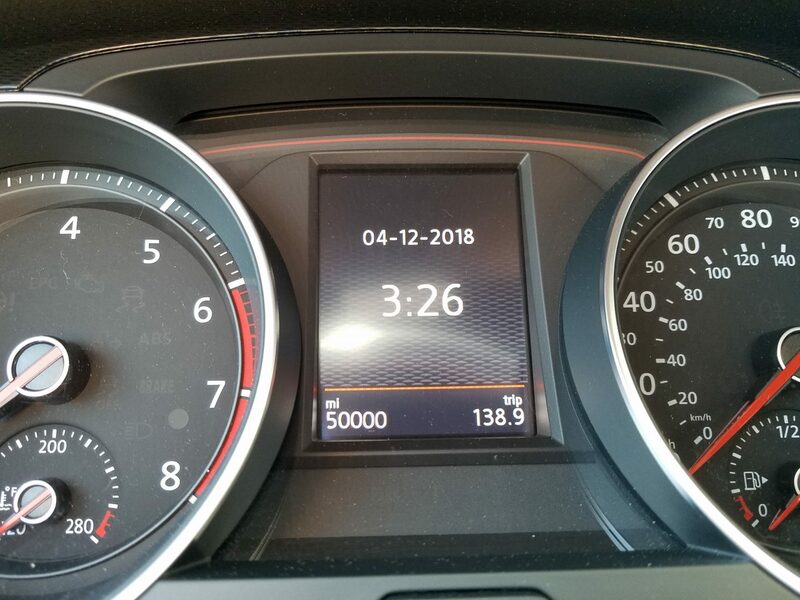 I passed the 50,000-mile mark right when the car turned 17 months. I once predicted I’d reach 175,000 miles by the five-year mark. That was when I had a 50-mile each way daily commute. But I have a new commute that’s a tad shorter at 31 miles. Now I’m expecting to reach “only” 125,000 miles by five years. HAHA! I’ll probably still run the car to 150k by then since I love to drive this car! I tend to take it on road trips, so that’ll drive-up the miles, too. I’ve had a busy few months, both with modding my Mk7 and moving other VWs in and out of my household. I’ll share details about both below. My income tax calculations were a little off in my favor. As a result, I had a few extra dollars lying around in February after filing my taxes. I could have been an adult about it and put the money into my house. But where’s the fun in that? 😉 A subwoofer upgrade was very satisfying. Even better, I figured it was my best shot at jumping on an APR Stage 2 upgrade. That, too, was very satisfying! I added a Vibrant resonator to tame the resultant exhaust note. Somehow, I had missed the spark plug change at 40,000 miles. So I had them replaced while the car was in for the exhaust work and reflash. It was time to upgrade to stickier tires, too. The stock all-seasons were certainly no match for 300 hp and 400 lb-ft! I chose a set of Firestone Firehawk Indy 500s. See the story here. I was inspired to pursue a set of 17-inch wheels when I discovered that two of my Nogaros were bent. However, I was in no hurry to make a move with new 225/40R18s mounted. Then I found a second set of Nogaros for sale at an amazing price. I’ll write more about them later. For now, I’ll share this teaser photo of what I’m doing with them. 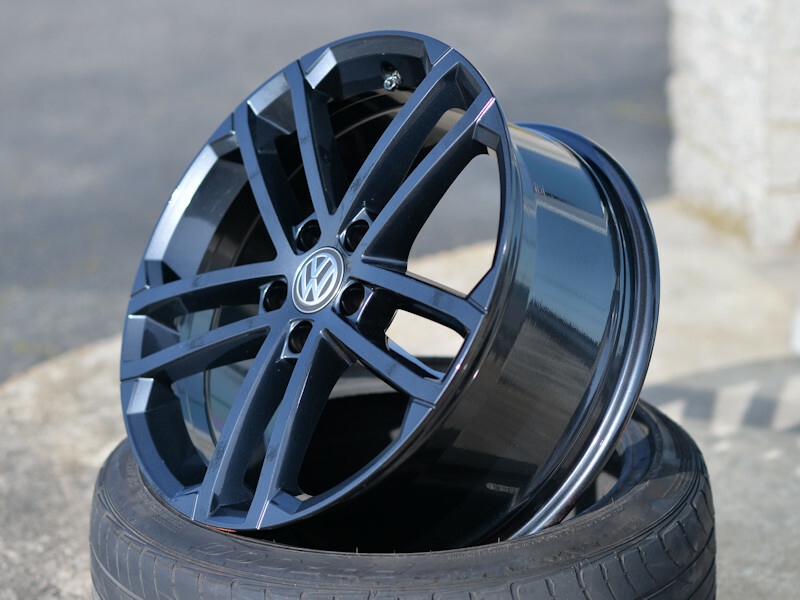 I hope to have them on the car in a few weeks. 🙂 I may still get some 17s for use in the winter. But there’s no rush. I’ve bought and sold nearly as many cars since 2016 as I had during the rest of my life. 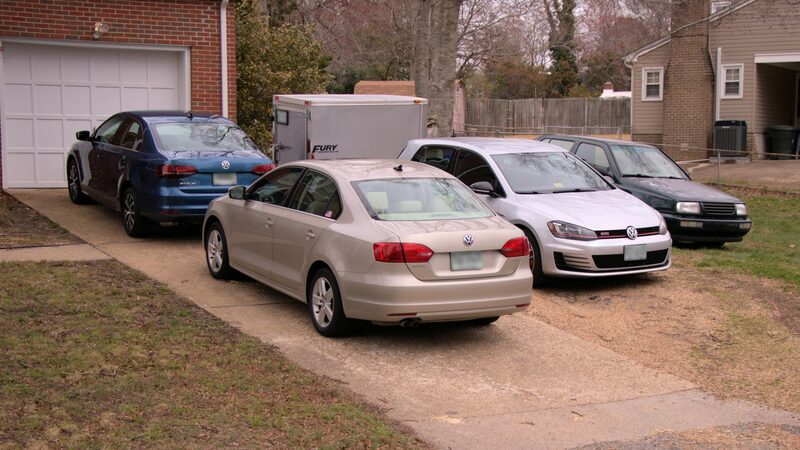 When I bought a pair of new 2014 Jetta TDI’s, I figured I’d keep them at least ten years and drive them into the ground. Then Dieselgate happened. I decided to jump on an opportunity to make some changes (and a few dollars), which led to my first GTI. See my “Origin Story” for details. 2018 brought a number of decisions. First, was to sell my beloved 1998 Jetta TDI. It had rusted beyond my desires to restore. 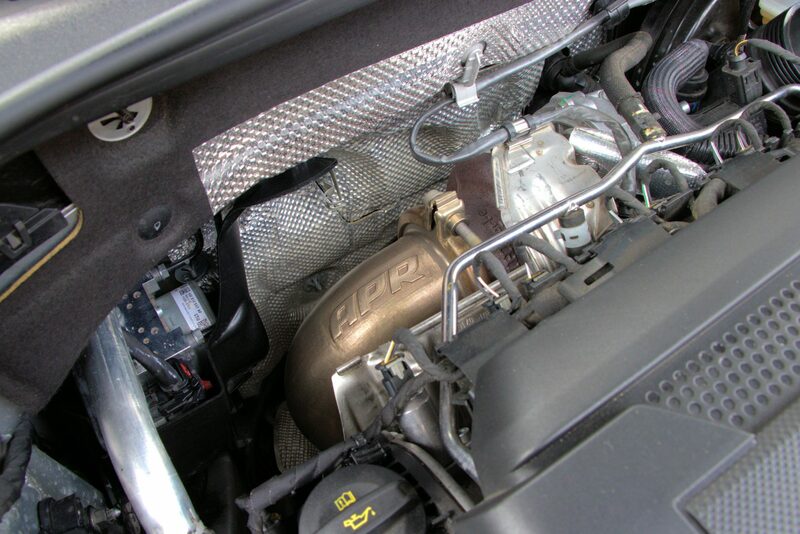 Besides, my newer cars, especially my GTI, ensured that I no longer enjoyed the Mk3 chassis. Later, I sold my wife’s 2014 Jetta TDI back to VW and replaced it with a 2018 Jetta SE. Next, was the search for my daughter’s first car. I had looked at several Mk6 Golfs, all of which were disappointing in one way or another. Then I lucked out and found a CPO 2017 Jetta S with only 9668 miles at a great price. Hopefully, I’m done moving cars in and out of my driveway for a while. 🙂 See “My Other VW’s” page for details on each car. I’ve towed utility trailers behind my VW’s for nearly 20 years. 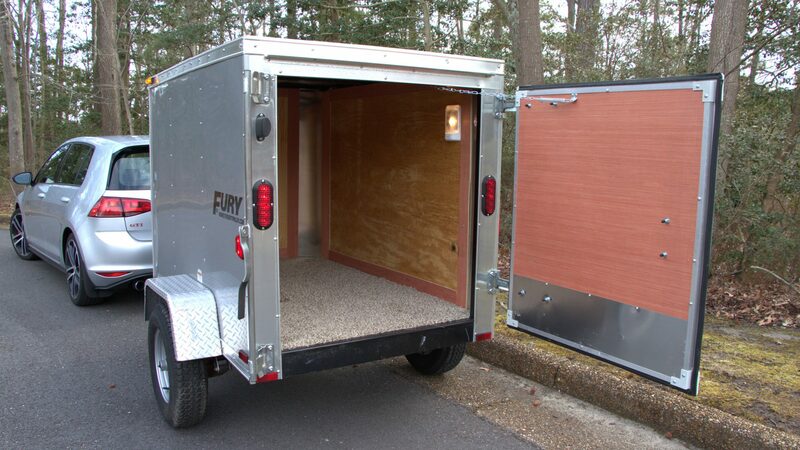 There are times when I’d like to transport something that’s too large for inside the car and too tall to fit under my utility trailer’s lid… something I’d like to keep dry or concealed during transport. I was on a leisurely drive one Sunday morning and saw this 2016 Homestead Fury 4×6 cargo trailer along the side of the highway. It was in excellent shape and super clean. I bought it on the spot! I’ll eventually mod it to ride on Volkswagen wheels. Read more about the trailer here. That’s all I can think of for now. I’ll follow-up with more info about my new Nogaros soon.